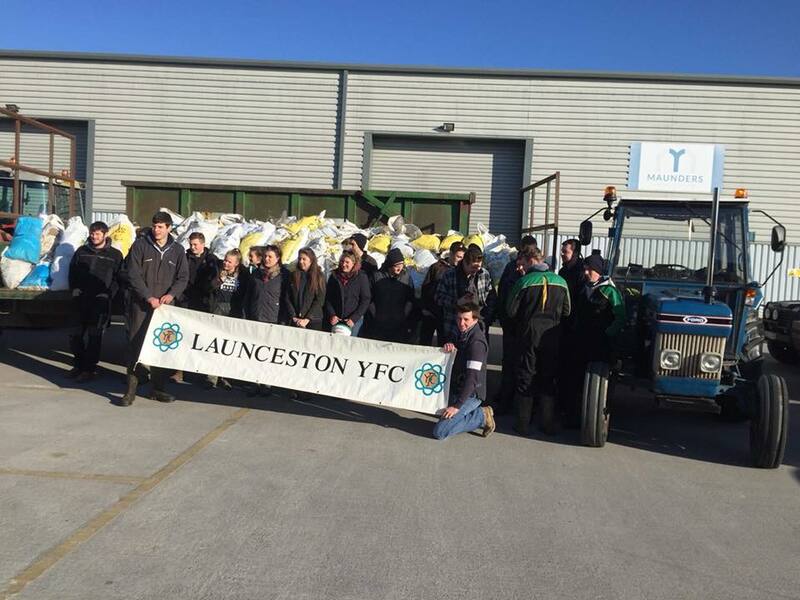 Launceston YFC members gathered in Maunder's car park with tractors and trailers for their annual dung run. 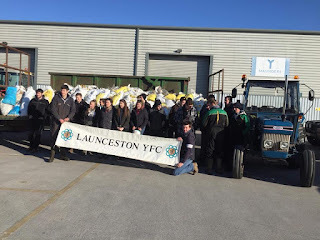 In spite of the chilly temperatures, fun was had by members who wrapped up warm and delivered 650 bags to houses in Launceston and the surrounding area. A fantastic sum of just over £1000 was raised on the day, with all proceeds going to this years chosen charity, The Prince's Trust. Thank you to all of those in the Launceston and District Community for their generous support.